Gamification is a fun, yet often overlooked method of solving some of the most common yet challenging ecommerce hurdles. 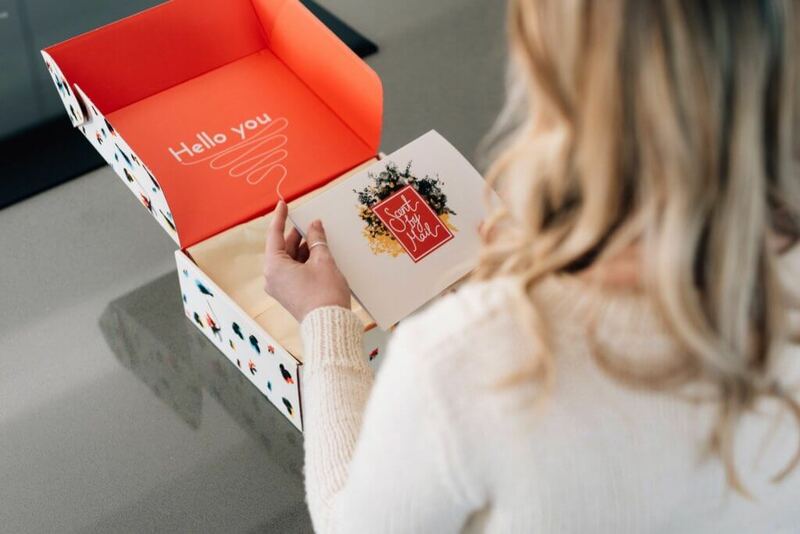 Ecommerce businesses, irrespective of size, face certain challenges such as abandoned carts, acquiring loyalty and creating a memorable unboxing experience. All these problems have common ways to be overcome. But one overlooked method is to introduce gamification into your online store. Gamification is the process of using a sense of reward and achievement to encourage someone to take a desired action. It doesn’t mean having a game of PacMan randomly pop up in front of a shopper (although that’d be cool). Gamification can be used in many aspects of life – business, learning, training and in personal growth – and, ecommerce. The ways that large corporations use gamification in business on a daily basis. Let’s take a look at some of these challenges faced by ecommerce brands, and then how gamification can overcome them. We all have those moments where we impulsively select a bevvy of items to buy from an online store and only when we “check out” better sense prevails. We remove the items or move on to better things. Thus is born the abandoned cart. Cart abandonment is rampant across sectors, ecommerce fashion especially feels the sting with an abandonment rate of 64%. No amount of coaxing or coercing can get you to buy those items you added in a fleeting moment of stress-fuelled want. Your customers are no different. Unless the products in the cart are offered at a heavily discounted price along with a bunch of other perks such as free shipping etc., the customer is unlikely to take notice. Customer loyalty is the light at the end of the tunnel, it is the pot of gold at the end of the rainbow and much like its metaphorical equivalent, it is hard to come by. 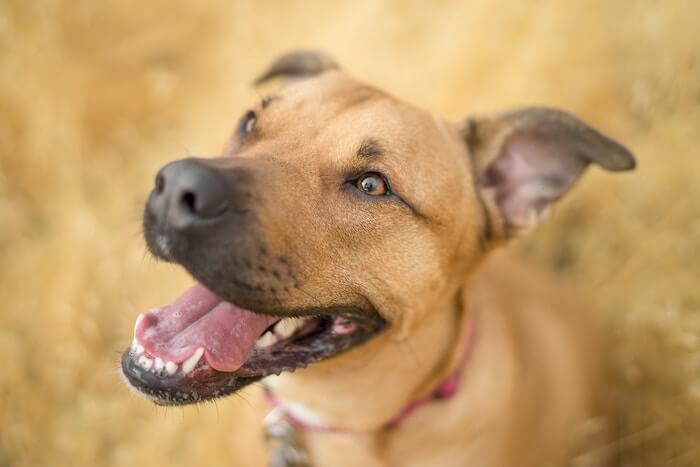 Loyalty itself is the pinnacle of any meaningful relationship between two entities. At times customer loyalty is a function of habit. Many of us don’t like to change patterns and habits that have been reinforced by repetition. Hence we reach out to the same brands due to the force of habit. Loyalty is the reason new products are always launched with much fanfare and a few freebies – all with the intention of breaking a habit strengthened by constant repetition. Both acquiring and breaking customer loyalty are herculean tasks. This is why companies spend a lot of resources in pursuit of these goals. Loyalty is a journey and a long one too. It is easier to establish loyalty through a system of affirmative feedback, rewards and expressions of gratitude. Another reason why there is a premium on loyalty is that acquiring a new customer is 5 times more expensive than retaining an existing one and a mere 5% in churn rate can result in profitability jump from 25% to 125%. Note: One way to increase your customer loyalty is to deliver a world-class unboxing experience. By making your customer’s first physical touch point memorable, you keep them happy and coming back to you time and time again. 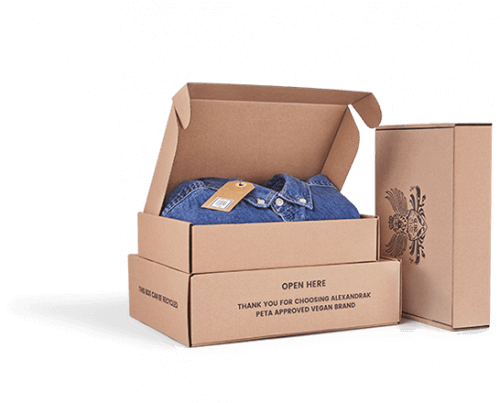 Satisfy your customers even more by delivering your products in your own branded boxes. Click here to start designing your own customised packaging. Modern marketing for all its effectiveness does have a few shortcomings. Product promotions in the modern form can come across as trying too hard to convince. And this is a time consuming and expensive error. What you might see as persistence will come across as trying too hard and projecting a false image to the customer. Another challenge which faces modern marketing is the fact that a user connected to the world wide web has more options than ever, – the paradox of choice, the problem of plenty. Having a lot of options is counterproductive since customers suffer from information overload. This makes decision making difficult. One simple strategy that ensures that your customers are helped and engaged, leading to a simpler decision making, is gamification. Engagement is the keyword. Your gamification marketing tactics need to be such that they inspire participation and conversation. In fact, engagement and customer experience matters so much that 88% of customers are willing to pay more a better experience. When customers are motivated by a clearly defined set of rewards they are more likely to act on them which will result in a better experience. This motivation can be set up with the help of steady interactions with the customer in the form of gamification. There are numerous methods to set up more engagement. What better way to engage than to challenge their intellect (trivia and quizzes) and let them have some fun (gamification). Gamification strategies are an easy and effective way to simplify the buyer’s journey with little effort and reward. It elicits strong emotions as it taps into the drive to strive, compete and improve. This is beneficial to your brand as it results in repeat engagements driven by the game. Games are fun and a little fun does no harm. There are a number of gamification strategies and methods to introduce games in the product buying process. Create product recommendations based on personality, pets, spirit animals etc, and then link the users’ preference for a product you are offering. Here’s an example of a product recommendation for sports watches. After answering a few simple questions like your gender, budget and lifestyle, the products best suited to your needs are displayed. Other ways to use a similar idea is to create a personality quiz based on a trending movie/tv show. ‘Are you more like the Hulk or Ironman?’ for example. Trigger this during the holiday season or when running offers. Promote the quiz on your social media page and incentivise quiz takers to promote the quiz to increase the reach. A great tool to create a simple quiz for your online store is Outgrow. Set up a points system where points can be accrued by consecutive purchases that can be later redeemed as goodies real and virtual. This is an effective way of increasing repeat purchases and improving loyalty. Brands such as Nordstrom and Barnes and Nobles are known for their loyalty programs. Create fun puzzles based on products on your website, these puzzles can be linked to product purchase pages or a points system which again can be redeemed in cash or kind. This quiz that helps users choose the perfect pair of sunnies is a great example of a product quiz. You can also create quizzes to improve product awareness. This is a double edged sword, as the customer associates your product with fun, enjoyment and emotions of positive reinforcement. Many websites are jumping on this bandwagon of setting up wheels of fortune and rewarding discounts and freebies. This is a fine example of gamification in business that is very engaging – and rewarding. This type of gamification platform is an effective tool to get email IDs from first-time visitors. The lure of a freebie is effective in getting email addresses into your mail list. This is among the easiest ways to trigger the first purchase. A small ecommerce business can benefit hugely from throwing a slogan competition onto Facebook or Twitter, asking for followers to suggest a slogan. This is a commonly employed tactic. The reason being that a slogan competition generates a lot of interaction, word of mouth promotion, and helps build a stronger, more memorable brand image. Allow users to create individual and unique avatars. Points are assigned to the avatars for each individual purchase, and cant be spent to redeem other features and perks. 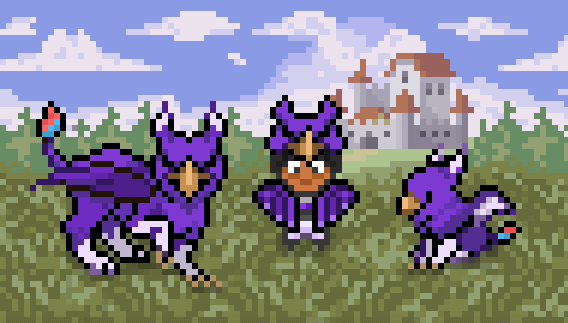 Habitica is a virtual ‘check list’ that, as you tick off your tasks, gives your virtual character experience to complete mystical quests. This is a perfect example of the gamification of everyday tasks with one simple goal – an improved quality of life. Your online store can use a similar concept of gamification to leverage a the sense of competitiveness and ownership. A competitor can unlock perks and a new avatar after a certain amount is spent. Referral based discounts are among the most common methods of gamification used in business. If a customer sends new customers to a store, they get a reward. Loyalty, on the other hand, can be gamified using a points-based system. This is a great idea to use alongside the previous point of custom avatars. Why is a loyalty system effective? It gives a customer an increased sense of value. When your customer is achieving points for nothing other than spending money, those points feel like part of their previous purchases. As they have this inherent value, the customer is attached to them and wants to use them wisely. Many brands have implemented various forms of gamification and trivia in their customer experience and benefited greatly from the results. 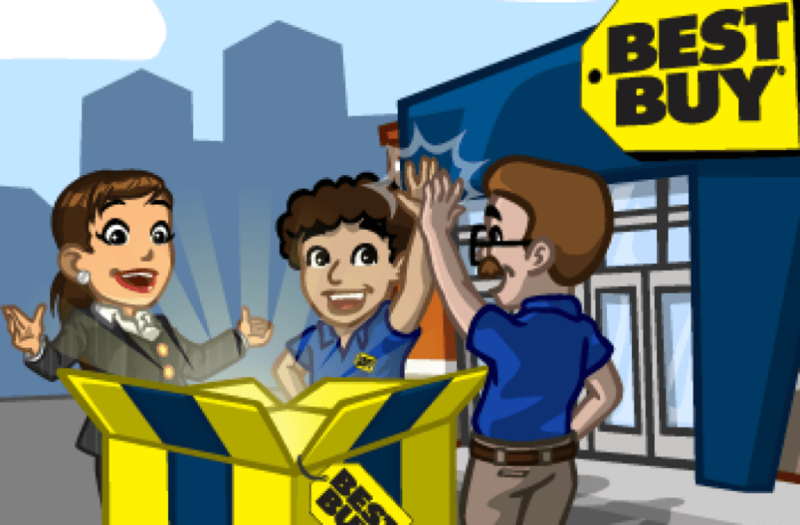 Be the Game – Best Buy teamed up with Zynga to bring their stores to the virtual world of the popular Facebook game Cityville. Through this effort, Bestbuy was successful in connecting with customers through new and unexpected ways. Given Cityville’s reach and range of players this activity surely increased the eyeballs on the Best Buy brand. A good idea to sell without actually selling is to create a fun activity involving your brand. A fun activity that is gratifying irrespective of the customer choosing either to buy or not to buy. In the same process help customer in decision making. Providing a memorable experience is the first step towards setting up a purchase. Bonobos conducted a scavenger hunt on its website on Easter of 2011. 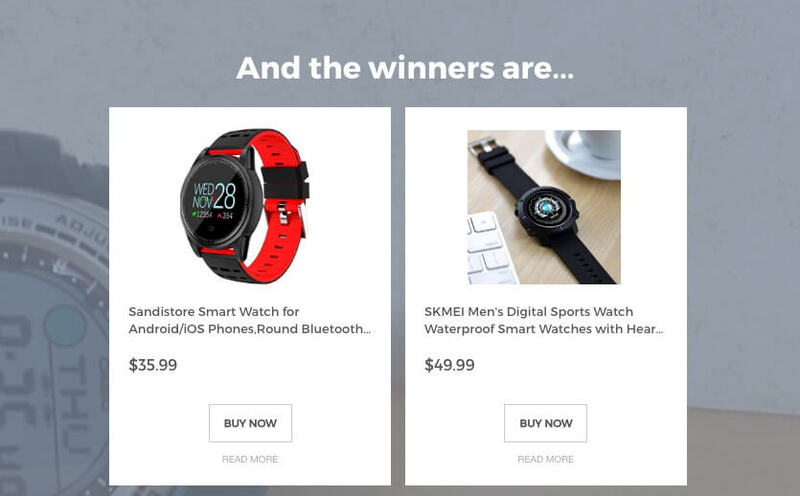 Users who were able to find the specified items were rewarded with perks such as discounts and free shipping. Ole Candy took gamification to the next level. They knew that their main customer is children, and that they need constant entertainment. 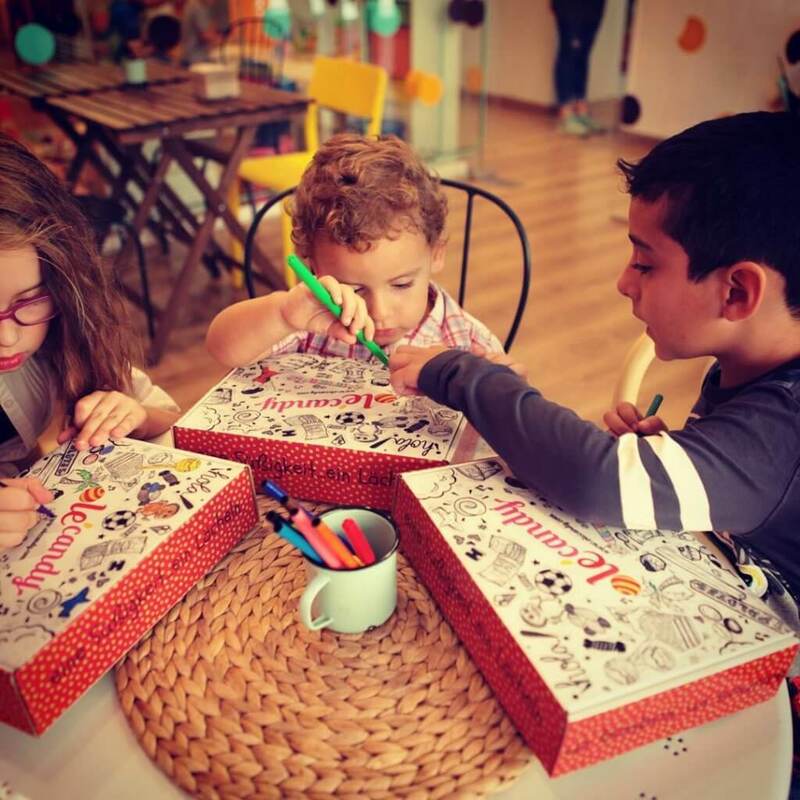 They used customised packaging to turn their box into a colouring book for kids to colour in. While the gamification may come after the purchase, it’s a fine example of keeping your customers engaged, adding value and keeping them satisfied. Plus, it’s an incredible piece of innovative packaging and experience driven packaging! 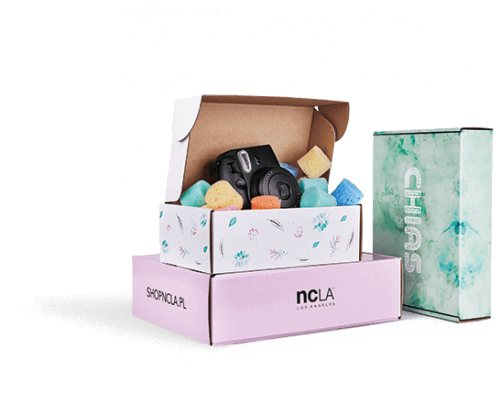 Want to create your own box with your brand’s own logo and design? Use Packhelp to design an order as few as 30 customised boxes. You’ve seen how quizzes boast high levels of interactions. Plus, a lot of brands employ fun quizzes to increase interactions and acquire data. From brand-related trivia to a fun recommendation quiz, these experiences can improve engagement rates and establish a stronger brand image. Warby Parker created a product recommendation quiz to help its customer identify the perfect pair for their face shape. Taking a page from the same book, Zenni Opticals came up with the “You Have Been Framed” quiz which increased website traffic and brand awareness by leaps and bounds. In fact, it generated $1 million in revenue and a staggering 29.5k lead conversions. Try offering a discount after 5 friends sign up for a newsletter from a customer’s suggestion. Buy On Get One Free deals when a friend makes a purchase can also be a novel way to acqiure a new customer. If this is too complex, cash or gift cards for referrals and help, too. Here you can utilise tools like Referral Candy, Ambassador and Affiliately to integrate referrals into your ecommerce store. 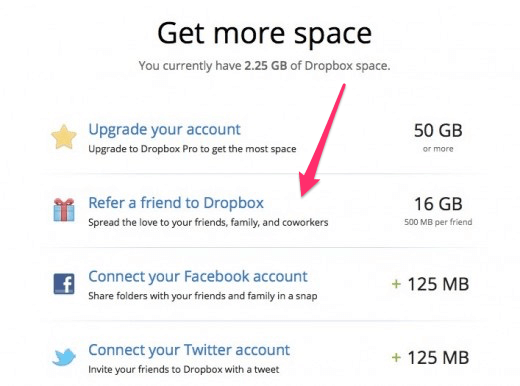 Dropbox’s referral program is an example of a stellar execution of this strategy. More than gamification, this is systematic, rewarding and positively affirming. In turn, it helped set up patterns that solidify into habits which in turn, benefits the brand. Enticing customers to keep coming back for repeat purchases is the hard part. This process is made easy by a points system that adds up over a period of time and can be exchanged for goodies – both virtual and physical. 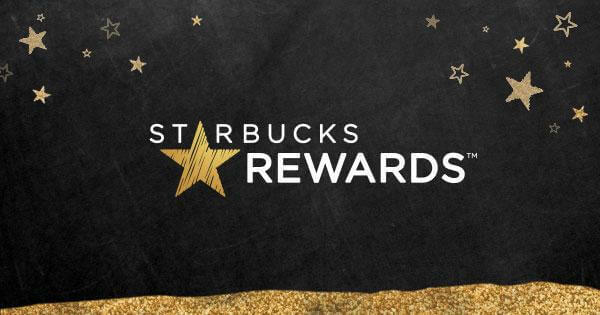 The Starbucks Rewards program is an example of a loyalty program with incremental benefits. Every repeat purchase is rewarded with points which are later redeemed as goodies. In a similar fashion, you can also reward loyal customers with discounts and gifts. Customers appreciate gratitude that will solidify loyalty. Customers are more likely to forgive shortcomings if they have developed a strong affinity towards. Thus loyalty pays in more ways than one. The customer’s journey towards a purchase is not always a rational process. They are more likely to act if there’s a clearly defined course of action with signposts leading to consecutive steps. Gamification in business helps achieve exactly that, it allows the customer to progress through a predefined set of options preferably ending with a purchase. Small ecommerce businesses can do this exactly this to elicit a set of positive behaviours ranging from recommendation to purchase. Using the above gamification examples, you should now feel confident to go out and test the concept of games in your online store. Are you game for gaming? Adithya handles SEO and occasionally writes content at Outgrow. When he isn’t doing either he can be seen burning around the corners of the local mountain biking trail and racking up KOMs on Strava. He also reads, occasionally. He’s currently on a quest to learn to play the guitar riff from Led Zeppelin’s Immigrant. Phil Forbes An Aussie living in Warsaw. Specialising in the field of SEO, digging into analytics and getting graphs trending up and to the right. An Aussie living in Warsaw. Specialising in the field of SEO, digging into analytics and getting graphs trending up and to the right. when you join our newsletter. 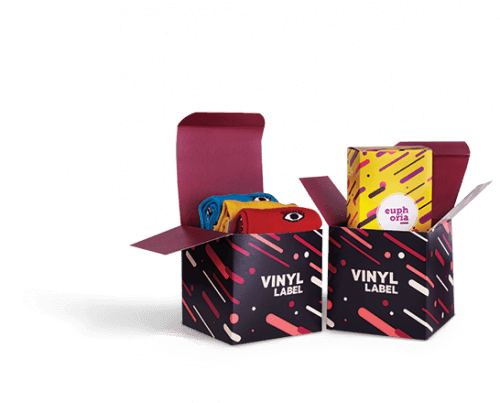 We also make Mailer boxes Product boxes Shipping boxes Poly Mailers Paper bags Envelopes Tapes Box sleeves Paper tubes Tissue paper and more . Get 5% off all products when you join our newsletter.